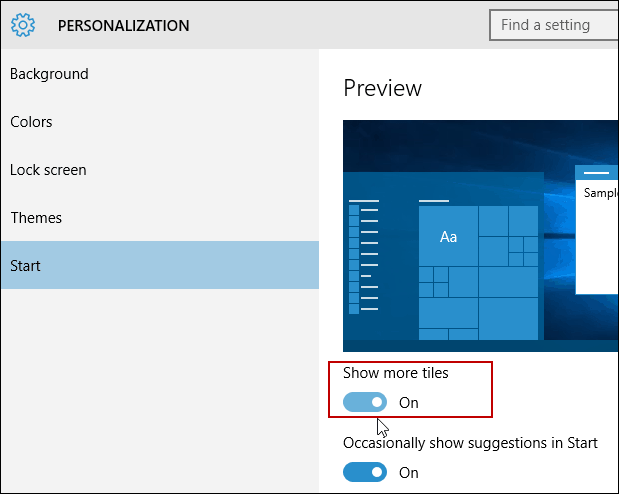 With the most recent Windows 10 November update, there are new personalization options including the ability to add a fourth column of tiles to Start. 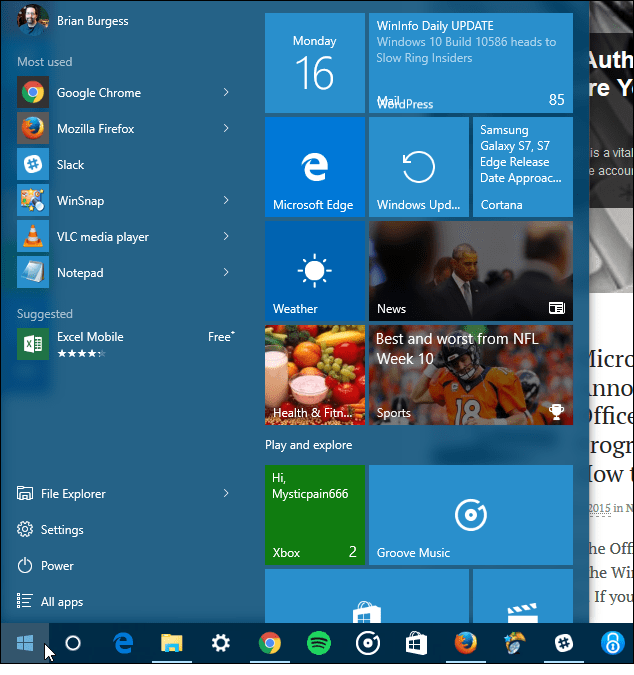 Microsoft rolled out its first major update to Windows 10 last week. The fall update brings you up to version 1511 or Build 10586. 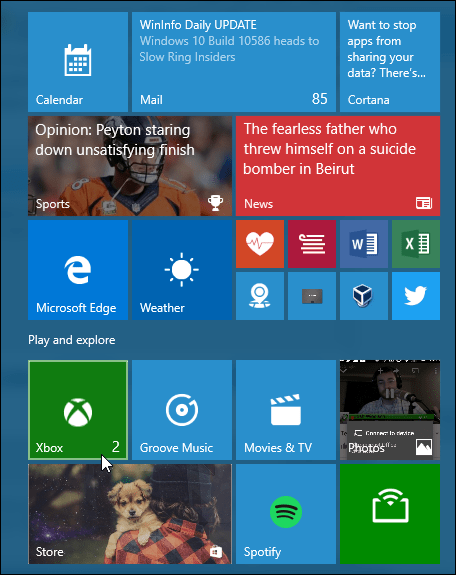 The update includes new personalization options, including the ability to add a fourth column of live tiles to the Start menu. Here’s how to enable it. Here’s a look at how the Start menu looks with just three columns. To enable the fourth column head to Settings > Personalization > Start. From there flip on the Show more tiles switch. That’s all there is to it. 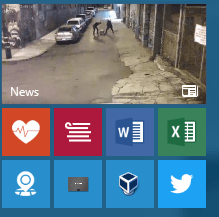 With this extra column and room, you can use it to resize your live tiles and create groups. With the extra column, you can create four rows of medium tiles, two wide or large, or up to 16 small ones. The other benefit is you can see more without having to stretch the Start menu out and waste screen space. It works the same way as it did before, just with the new and improved context menus shown in the shot below. 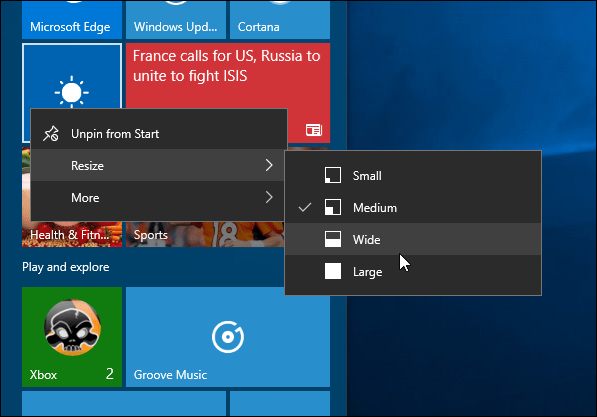 For more on customization of the Windows 10 Start menu, check out some of our other guides below. One more thing I should mention is some people are still complaining that they haven’t received the November update yet. If that’s the case for you, read our article on how to get it on your PC manually. Let us know how you like to customize your Start menu in Windows 10 in the comment section below. Or if you want to continue this or any other Windows 10 discussion, make sure to join our free Windows 10 Forums. I seem to have various features of the update missing. Should I uninstall and reinstall it?